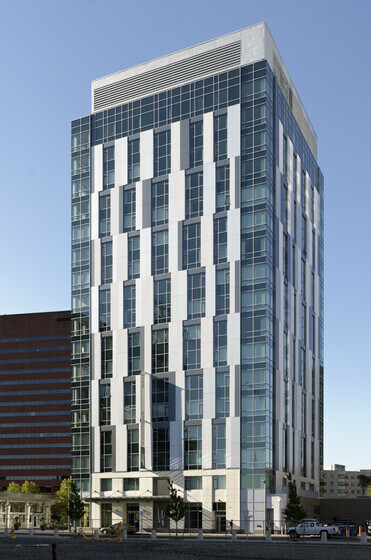 Watermark Kendall East exceeds the aggressive energy efficiency requirement of the Massachusetts Stretch Code. Atelier Ten’s energy analysis pinpointed the most cost-effective combination of design measures to meet this energy target. The new Watermark Kendall East residential building is designed to promote and facilitate a sustainable and healthy lifestyle for all residents. 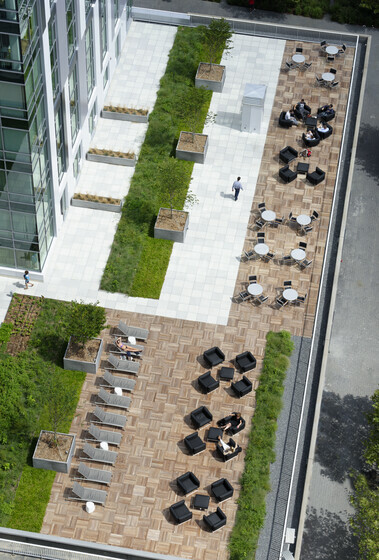 Atelier Ten led the project team to ensure that this 17-story high rise building conserves energy and other resources, while creating a healthy and clean living environment. New construction projects in Cambridge are obligated to meet the Massachusetts Stretch Code requirement of being 20% more energy efficient. Atelier Ten worked rigorously with the design team to identify the most cost-effective measures to ensure that the project exceeded the 20% energy saving threshold. These measures include a high-performance curtainwall system, energy efficient lighting (25% better than the baseline), occupancy sensors, Energy Star appliances, and a masterswitch in each of the 144 apartment units to allow residents to turn off all electronics with a single switch. All residential and commercial spaces were carefully designed to promote a clean and healthy indoor environment. In addition to filtering the outdoor air, 100% of this residential building, including the apartments, is smoke-free, ensuring that the occupants are not exposed to harmful tobacco smoke.